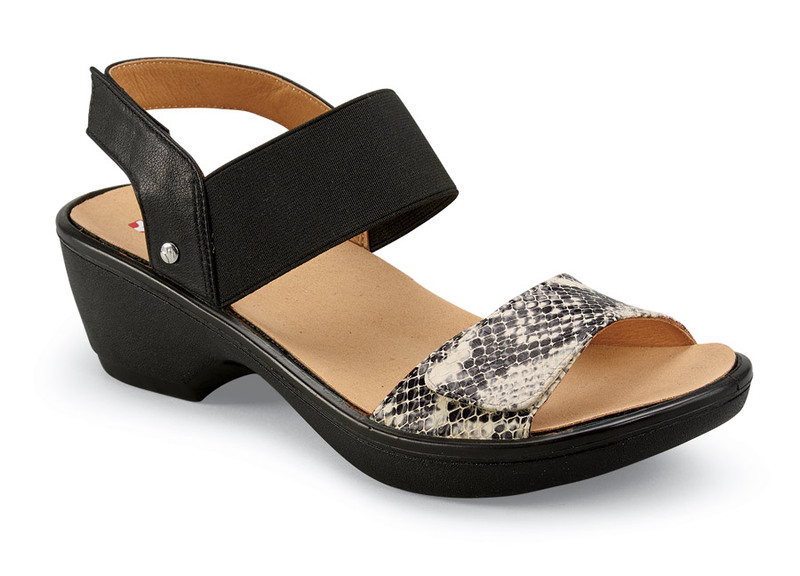 Two inches of heel height make the Revere “Valencia” sandal stand tall. The toe and heel straps can be lengthened with matching extensions while the elastic instep band provides flexibility in fit and comfort. 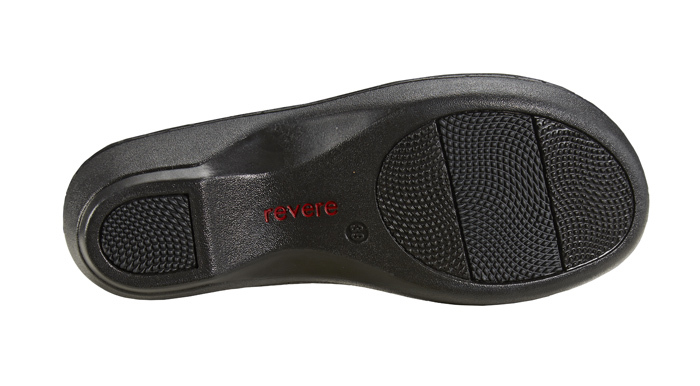 The cushion footbed is removable to accept orthotics. Originally $149.95. Limited stock in women’s whole sizes 5 to 12 in a 2E width wider feet can wear, thanks to the optional extension straps included with every pair.